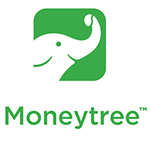 Having already experienced operating in a post Open Banking environment in Japan, Moneytree are in a fortunate position to provide recommendations on how the Australian market should look to prepare for Open Banking. In this session they look to highlight key areas of focus for preparations, as well as make recommendations based on the lessons they have learnt on this journey. 1:40 PM PANEL: New data pools, new opportunities - what will Open Banking and Open Data mean to smaller financial institutions and other industries?